Karmyn, center, plays a parachute game during Safe Kids Summit County’s 25th anniversary event in Perkins Square Park. Most people are surprised to learn preventable injuries are the #1 killer of kids in the United States. Throughout the world, almost 1 million children die of an injury each year, and almost every one of these tragedies is preventable. Today we celebrated the 25th anniversary of Safe Kids Summit County. 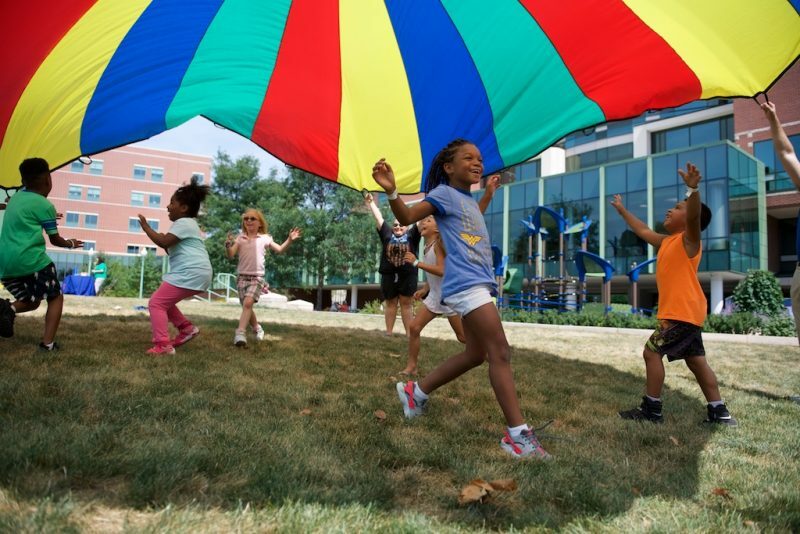 Akron Children’s Hospital helps lead the coalition to help families and communities keep kids safe from injuries. 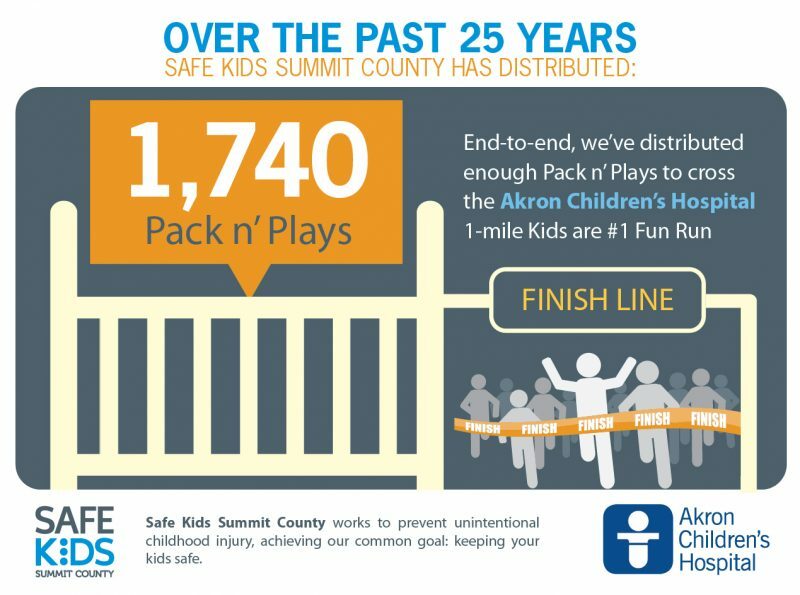 Safe Kids Summit County works with an extensive network of more than 40 agencies – such as fire, police, public health, housing authorities and more – in Summit County to reduce traffic injuries, drownings, falls, burns, poisonings and more. 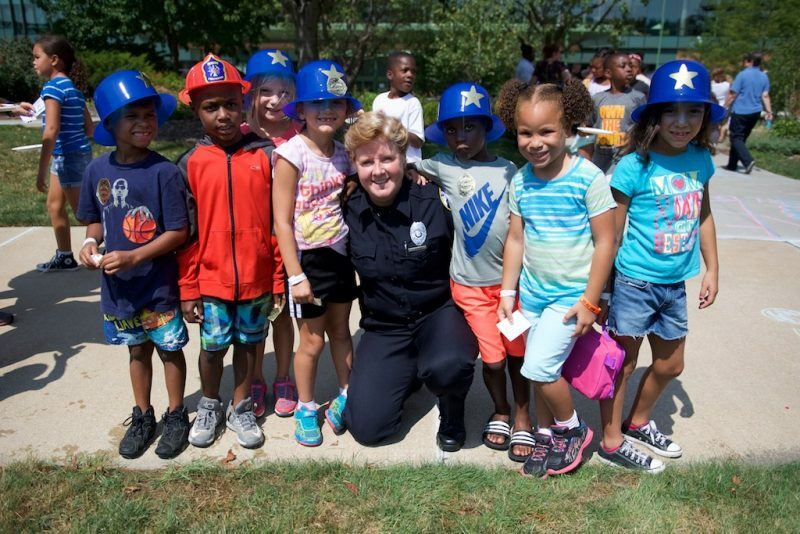 Akron Police Community Relations Officer Lari Natko talks to kids from the Firestone Park YMCA during the 25th anniversary event. They strive to make a difference through education, stronger laws and safer environments. 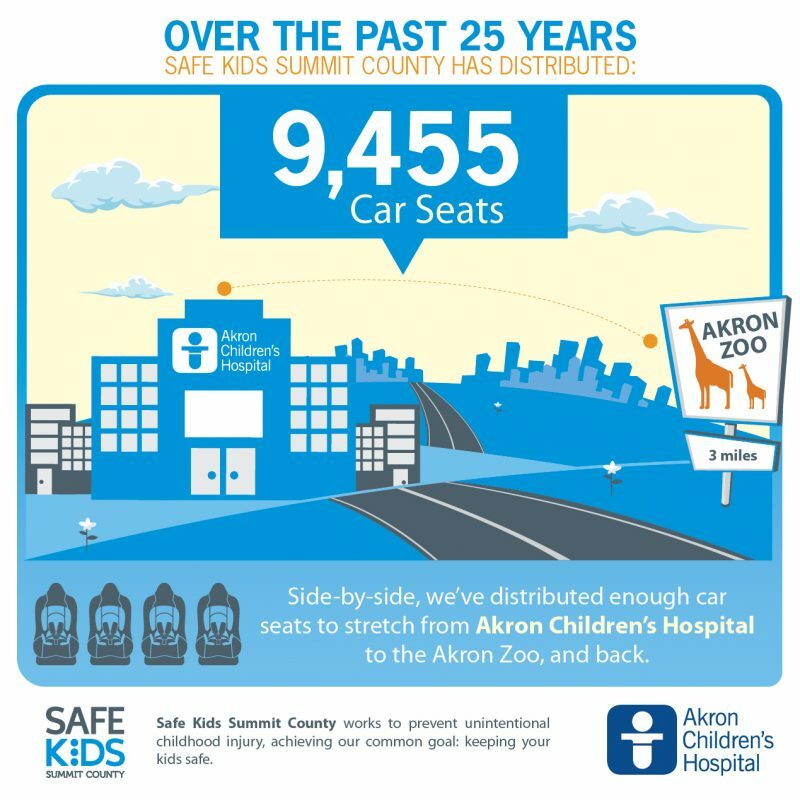 Thankfully, Akron Children’s employee Sharon Deitzel saw the need 25 years ago to help protect the children of our community, so she established Safe Kids Summit County. That same need exists today. 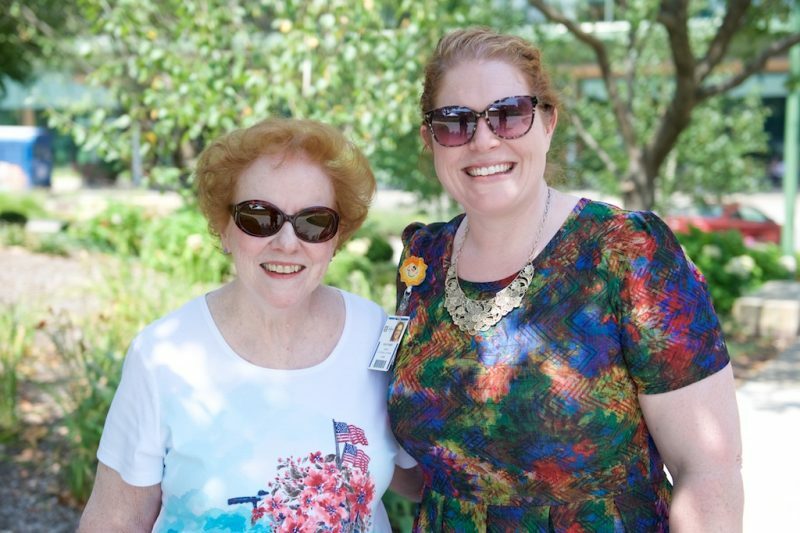 Safe Kids Summit County founder Sharon Deitzel with current coordinator Heather Trnka at the 25th anniversary event. Safety Around Water collaborative with Akron Area YMCA to teach kids how to swim and survive in the water. Safe Mobility Project in partnership with The Goodyear Tire & Rubber Company and the Goodyear Foundation to focus on Child Passenger Safety and all the ways kids move through the community including new teen drivers. City-wide Safety Town in partnership with the Akron Police and Fire Department to educate the area’s kindergartners on how to get to school safely and what to do in an emergency. Learn more on the Safe Kids website or follow them on Twitter. 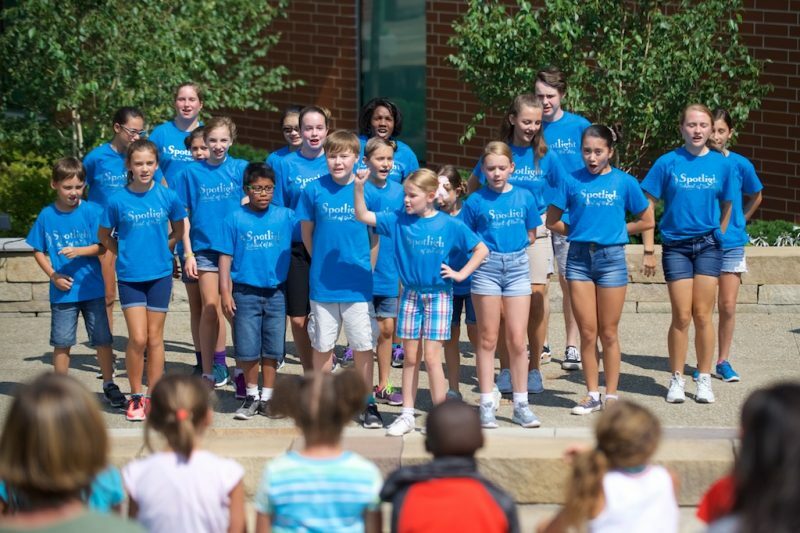 The Starlight Singers ages 9-15 from Medina entertained the crowd with song and dance in the FedEx Amphitheater.